Sit back and relax in the comfort of your home while an on demand beautician in Westminster takes care of all your health and beauty needs. USPAAH lets you request a range of treatments in seconds and have them delivered to your door within the hour! Nails. Get a mobile nail salon at home to provide you with the ultimate manicure and pedicure experience. The full works include filing, buffing, soaking, and cuticle work, followed by polish or gel applications, with many colours to choose from. Need a relaxing hand or foot massage? Your therapist can offer you that too. Hair. Whatever the occasion, when you book a mobile hair stylist from USPAAH you’ll be assured of fashionable and trendy styles that make you look and feel professional, alluring, or whatever your desire! Our beauticians only use premium hair products from Oribe – the award winning professional hair care experts, so your blow-drying is in capable hands. Make up. We’ll send you a mobile make up artist trained in all the skills of applying the finest brands such as Urban Decay, MAC, and Bobbi Brown. Make sure everyone knows that you’re wearing make up from USPAAH as you become the focal attraction! Facials. 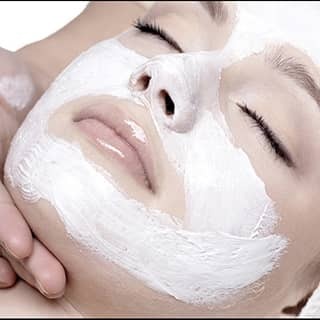 When you hire our mobile facial spa you can select a refreshingly quick boost, or a pampering that lasts for 90 minutes! Our professional beauticians will bring supplies that can be tailored to suit you individual skin needs, and provide a full set of towels to protect your bed or sofa where your treatment will take place. Brands including Dermalogica, NuSkin, and Decleor will be applied, as only the finest skin care products will suffice. Eyelash extensions. Let us provide you with a mobile eyelash extensions service that allows you to stay at home to experience this treatment. The application of natural looking silk and mink lashes may take up to two hours, so you can make yourself comfortable on your bed of sofa. Choose a look of full on glamour, or an effortless everyday effect. Spray tan. It’s so easy to get a natural glow with a spray tan! Our mobile spray tanning service provides a quick and simple treatment performed by a trained beautician, offering a whole range of shades to suit your skin colouring. Our body treatment will give you the bronzing you want without the harmful effects of sun exposure. Need an on demand beautician in Westminster right now? Get in touch with us via a concierge, online, or by downloading the USPAAH app, and you’ll get a therapist within the hour. Want to schedule an appointment further down the line? No problem, you can book treatments up to three weeks in advance. Our services are available from 7am to 10pm to enable you to request a service whenever you need it. You’ll be guaranteed sparistas with experience and skills, who’ve all been background and reference checked for your peace of mind. Rating your experience at the end of your treatment assures our services remain consistently high. Make your busy life less stressful today!